As many of you know and for any of you that read my review of Elevate Arena, I am a bit of a fan of this great conference. I have been attending this event for a number of years and always found it to be one of the highlights of the conference calendar in the UK. I am really happy to announce that this year I will officially be a media partner to the awesome event (have a look at my media profile here)! It is really a massive honour to be involved with this great event and help to promote how attending can help to widen your network as a fitness professional and not to mention some of the amazing learning opportunities that can be had within the seminar schedule. 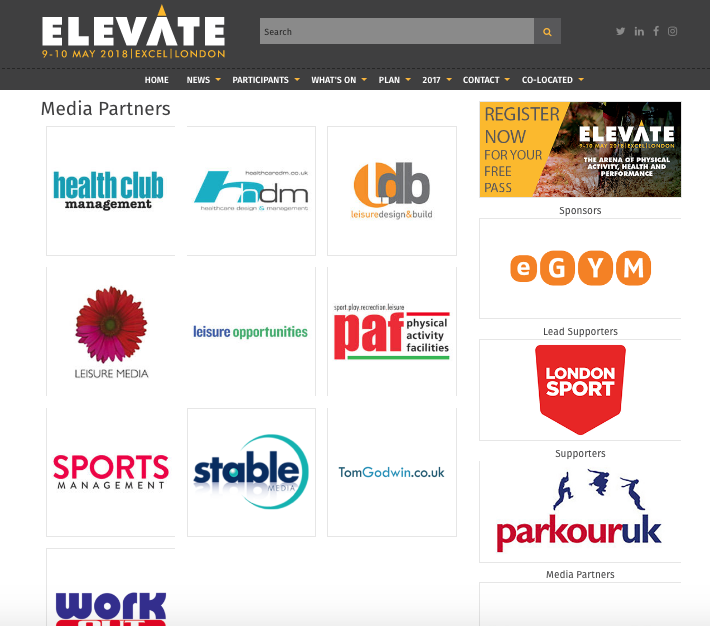 Over the run up to the event I will be getting some of the inside scoop on some of the unannounced (and very exciting) happenings at Elevate 2018. Additionally during the event I will be taking to social media to give you all an insight into the goings on. If you have not put the 9th to the 10th of May into your diary and booked your ticket... get it booked and I look forward to seeing you there!